Designed and manufactured by Biasi, the Advance OV 15kW is condensing Regular gas boiler, that’s compact in size and can be wall mounted so that it doesn’t take up too much space. Biasi built Advance OV boilers with efficiency and reliability in mind, which you can see by the efficiency rating of 92% and ErP A rating. With an output rating of 15kW, this Advnace OV unit is perfect if you live in a smaller home with 1 bathroom and not such an excessive need for heating or hot water. In addition to this 15kW model, the Advance OV range also includes boilers with outputs of 18kW and 24kW too, with the option of installing a Combi or System instead of a Regular boiler. So, whether you live in a large home or a small home, there’s an Advance OV boiler for you. Some of the many features of Advance OV boilers include a small footprint case, installation into traditional fully pumped S and Y plan heating systems, a single coil heat exchanger that is highly efficient (the single coil oval sections allow the system water to flow freely through the heat exchanger, preventing the accumulation of dirt and debris), and a built-in weather compensation, which, when installed with the optional temperature probe can allow the boiler to automatically react with the weather outside, helping you to save money on your energy bills. With this Advance OV unit being a Regular boiler (Heat Only or Conventional too), it needs to be installed as part of a heating system, alongside a hot water storage cylinder a cold water storage tank and a feed and expansion tank. So, if you live in a fairly small home with limited space, then it’s probably not suitable. 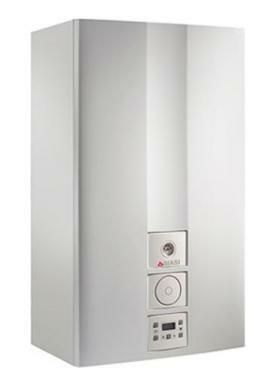 However, you’ll also find Combi and System boilers in the Biasi Advance OV range which require less additional parts. The Advance OV 15kW Regular boiler comes with a 5 year warranty to give you the peace of mind that you’re installing an extremely reliable unit for your home.